One reason I love watching YouTubers is finding out about cool new things first. It’s where learned about BECCA Shimmering Skin Perfector, GlamGlow face masks, Soap & Glory Righteous Body Butter and almost all of my favorite products. One of the girls I subscribe to, Michelle, just made a video comparing Old Navy’s new “Pixie Pants” to J. Crew’s Minnie’s. Now, I can’t wait to try them. J. Crew’s are around $90 bucks, and Old Navy’s are $25. Michelle even said the quality of the Old Navy pants is better. And to add to the confusion, J. 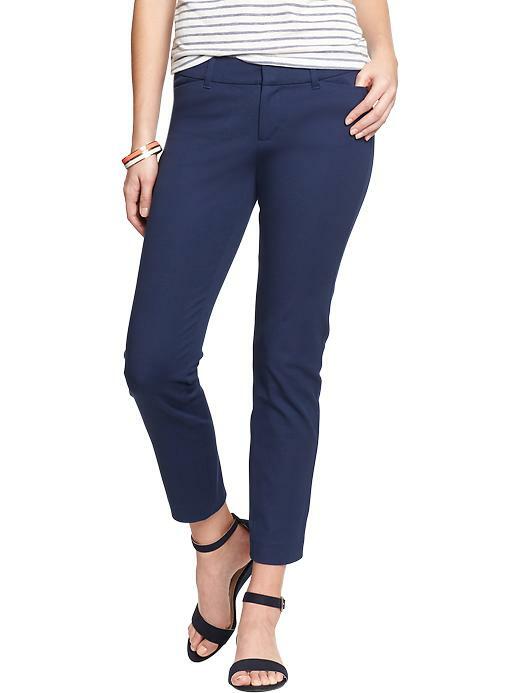 Crew also has a Pixie Pant (which I LOVE) but it’s a little different from these. Here’s a review comparing the J. Crew Minnie and the J. Crew Pixie. Side note: I don’t usually order petite sizes, but I had to get a short in these to get the right length. Also, when you buy full priced items at J. Crew I believe they do hemming for free.